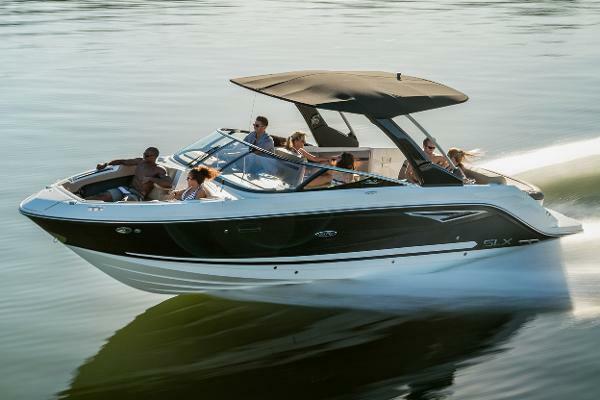 2017 Sea Ray SLX 280, The SLX 280 delivers a higher level of excellence that you'll see and feel. Upscale styling and a gorgeously sculpted hull make an instant impression while slicing through the water. Craftsmanship is apparent down to the last stitch. 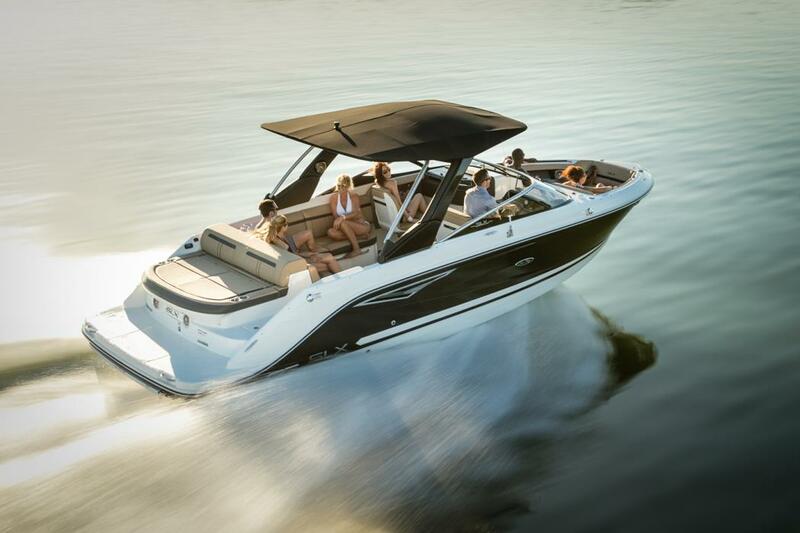 Cutting-edge technology makes a statement at every turn, thanks to innovations like Dynamic Display and Quiet Ride, featuring Tuned Transom®. Captain and passengers alike are treated to smooth, responsive performance and ample amenities, like the optional wetbar, to extend day into evening. After all, luxury loves company. 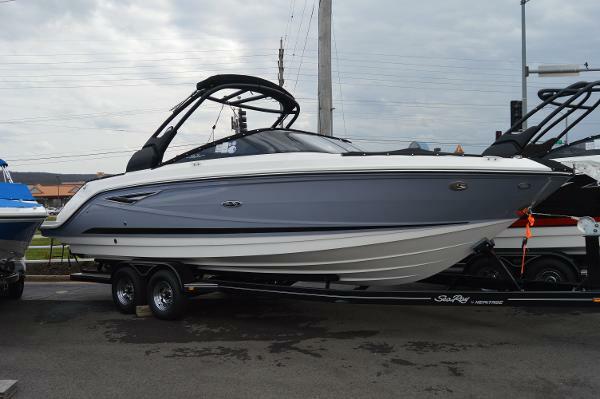 2017 Sea Ray SLX 280 2017 Sea Ray 280 SLX, ECT 8.2L Mag DTS BR3, Thru hull exhaust, Sand pearl interior, Black mooring cover, Docking lights, Thru hull underwater lights, White LED lighting package, Dynamic display, Transom stereo remote, Power tower with bimini, Air compressor for water toys, Bow ladder with hatch, Infinity woven cockpit flooring, Shore power package, Vacuum flush head with holding tank, Macerator with seacock interlock system, Windshield with stainless steel top trim and LED lights, Submersible hydraulic swim platform , Seadeck matting (Mocha), Side entry step, US Flag with pole and base. 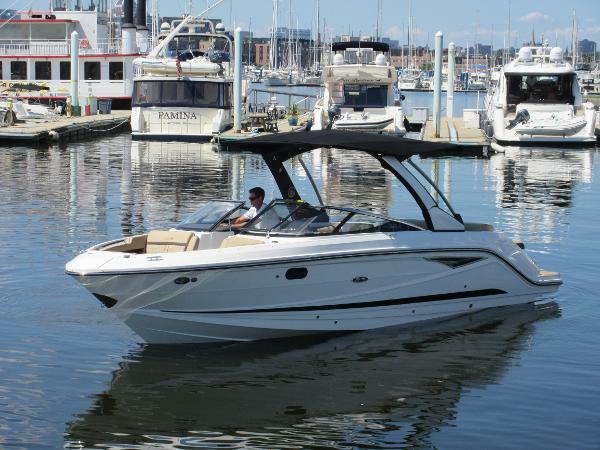 2017 Sea Ray SLX 280 The Sea Ray 280 SLX is an all new model for 2016 and comes standard with MerCruiser’s new 6.2-liter V-8 350HP Bravo® III Engine w/Digital Throttle & Shift. Featuring iconic styling with elegant hull sculpting, available in multiple color configurations and boasts expansive cockpit space with optional wetbar and luxurious and plush seating, with abundant storage beneath. 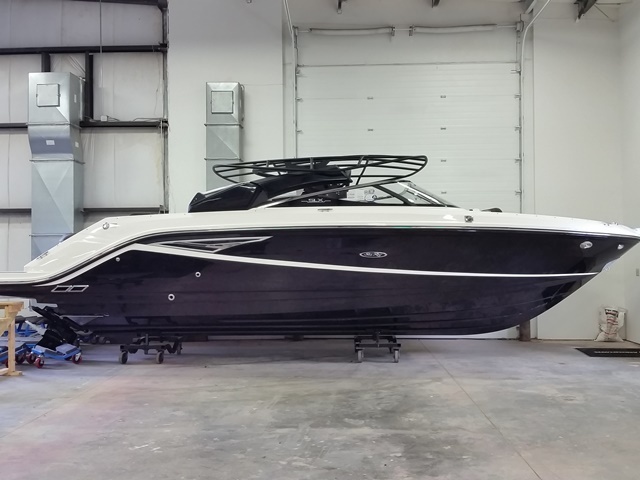 2017 Sea Ray SLX 280, 2017 Sea Ray 280 SLX! 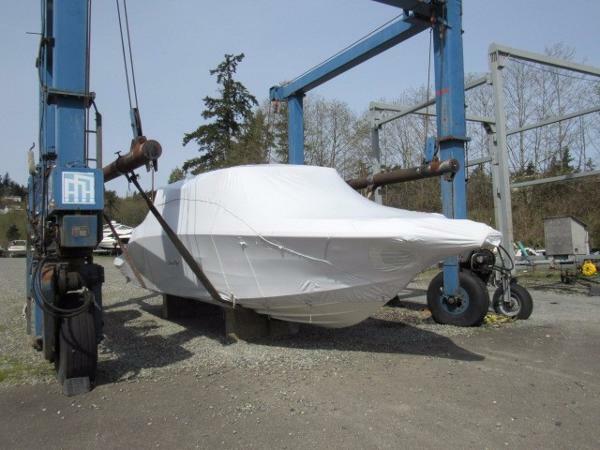 White Hull with Black Gel Stripe and is equipped with a Mercruiser 8.2L MAG (380 HP). 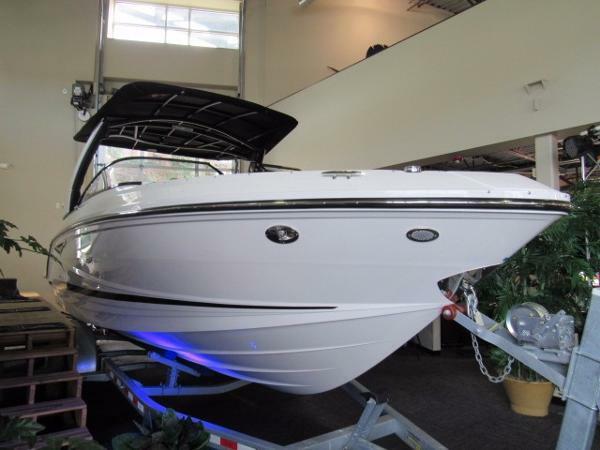 Accessories: Dynamic Running Surface, Espresso Interior, Cockpit Cover, Docking Lights, Thru Hull Exhaust, Under Water Lights, Blue Led Lighting, Water Sports Tower w/ Bimini, Bow Table, Bow Filler cushion, Wet Bar with sink, Refrigerator, Hot Water option, Shore Power, Fire Suppression and Dual Axel Painted Trailer.